Main Scout Site - Beavers. Main Scout Site - Cubs. Main Scout Site - Scouts. Main Scout Site - Explorer. 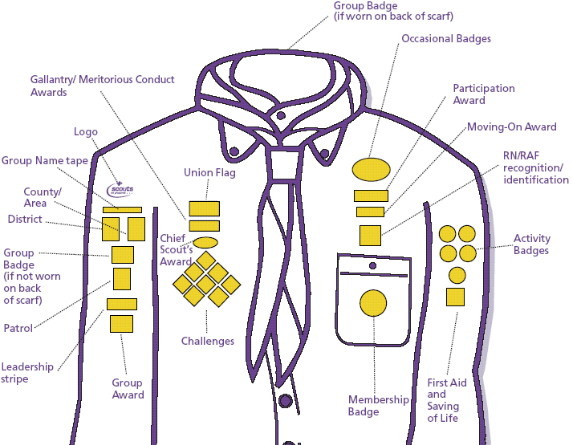 Scout Badges, where to put them.